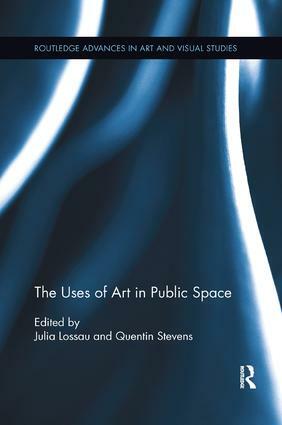 This book links two fields of interest which are too seldom considered together: the production and critique of art in public space and social behaviour in the public realm. Whilst most writing about public art has focused on the aesthetic, cultural and political intentions and processes that shape its production, this edited collection examines a variety of public artworks from the perspective of their actual everyday use. Contributors are interested in the rich diversity of peoples’ engagements with public artworks across various spatial and temporal scales, encounters which do not limit themselves to the representational aspects of the art, and which are not necessarily as the artist, curator or sponsor intended. Case studies consider a broad range of public art, including commissioned and unofficial artworks, memorials, street art, street furniture, performance art, sound art and media installations.